The team was called out along with Cockermouth MRT to assist two people that had got themselves stuck on steep snow on Kirkfell. 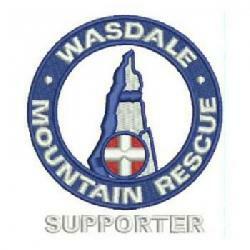 As the teams were responding, a Wasdale MRT team member walked into the two people who had become unstuck. 16 team members from Wasdale.